Some of our original European settlers famously held a festival after their first really successful harvest. This event was idealized and later enacted as Thanksgiving with a capital “T.” Nowadays, thoughts of the harvest and freezing marshes usually give way to celebrations of well-being and friendship, watching too much football, and eating too much food. We watched our marshes freeze and thaw periodically and celebrated the harvest by devouring too much turkey dinner with neighboring settlers. 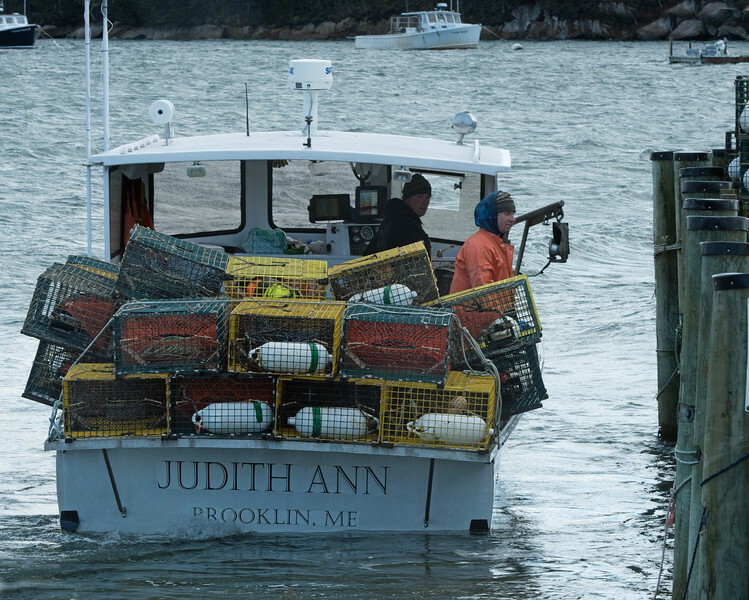 November also is the time when many lobster fishermen (male and female) haul up their traps and power home to spend the winter doing things on land. 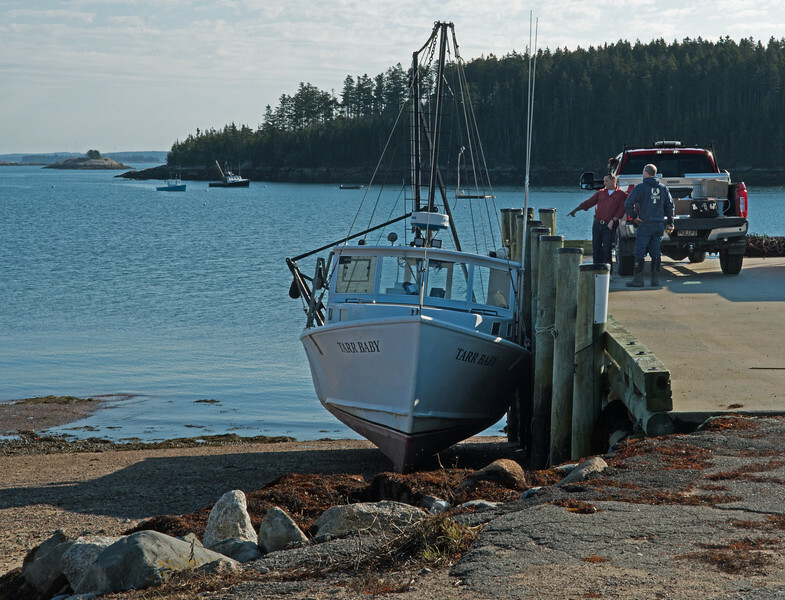 Some, however, tie-up at the Town dock to re-fit their boats with dredging equipment for the scallop season in early December. 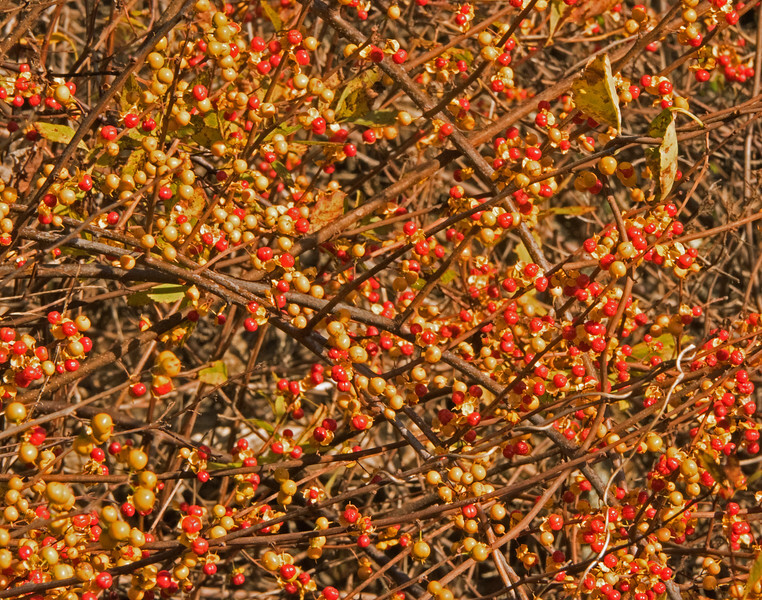 This year, mild weather allowed us to see the extension of October colors into November. 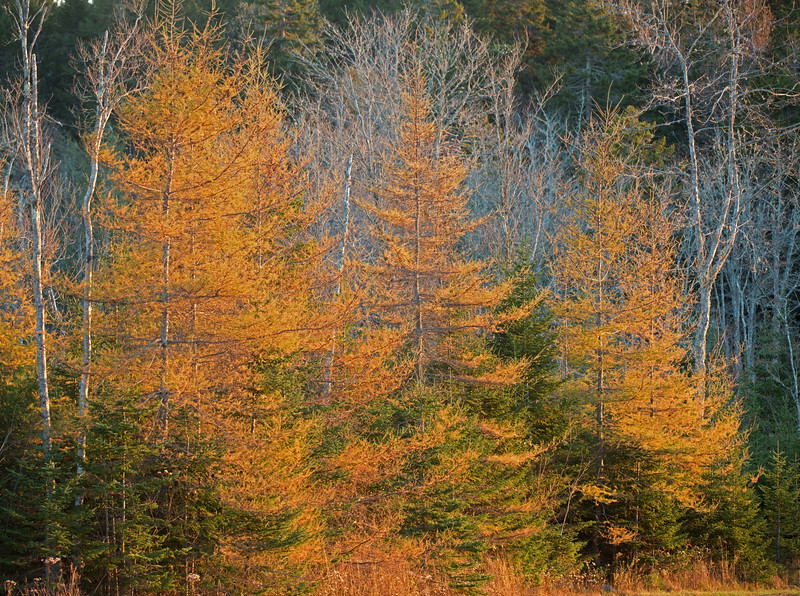 The delicately-colored Shadblow leaves were striking as were the golden Tamarack (aka Larch) trees and abundant (but invasive) bittersweet berries. 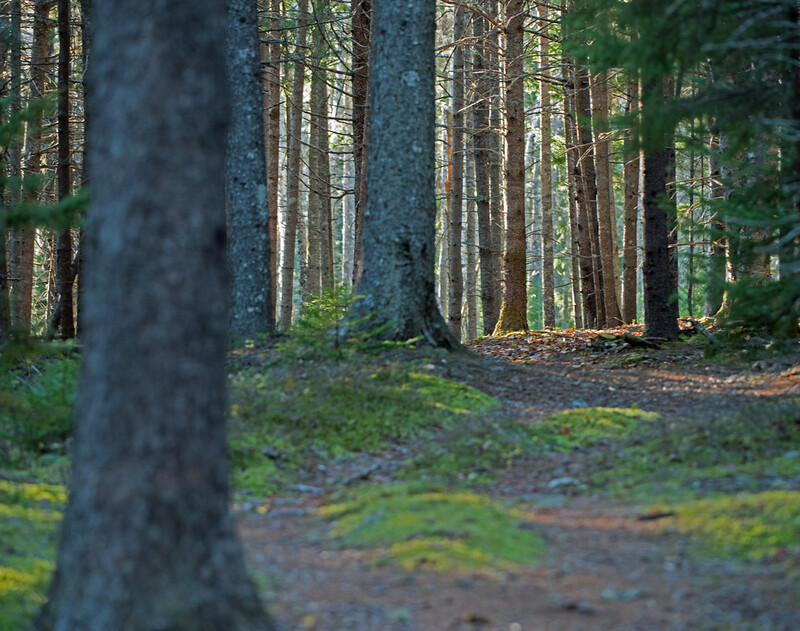 Many of the deciduous trees amid the coniferous woods delayed dropping their leaves until mid-November, when the canopy there opened and let light spill onto the trails. In terms of wildlife, we rarely saw a buck White-Tail Deer during the month, perhaps because they sense November means primary deer hunting season here. 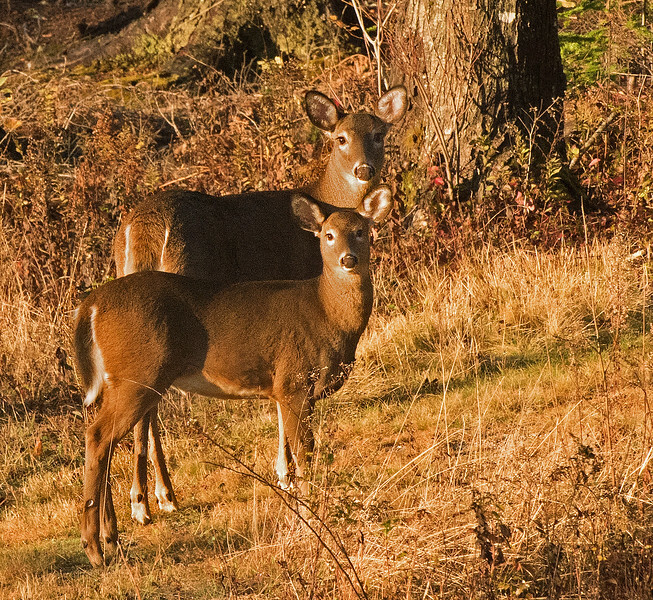 However, we did see many does and fawns in the golden early-morning light of November. 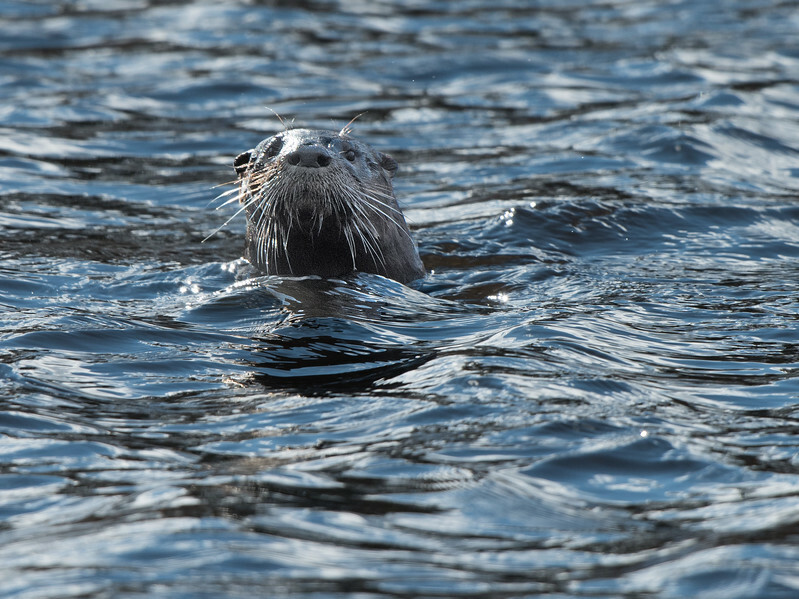 We also saw, among other animals, pesky local Red Squirrels and a Northern River Otter exploring a nearby pond, probably looking for a nesting site to use after mating in December. This November was especially good for mushrooms, including False Chanterelles and Red-Belted Polypores. Our local community of American Crows loudly celebrates their prosperity everyday throughout the winter; but they don’t let strangers get close. They post sentinels high in the spruce and other trees to caw as soon as they see human or predatory movement and the flock disappears complaining raucously. Perhaps the best thing about November, as far as Down East residents are concerned, is that it begins the winter sunset season, which can be breathtaking.